Unique dorsal deisgn permits unrestricted functional use of the hand while eliminating pressure on the carpal tunnel. 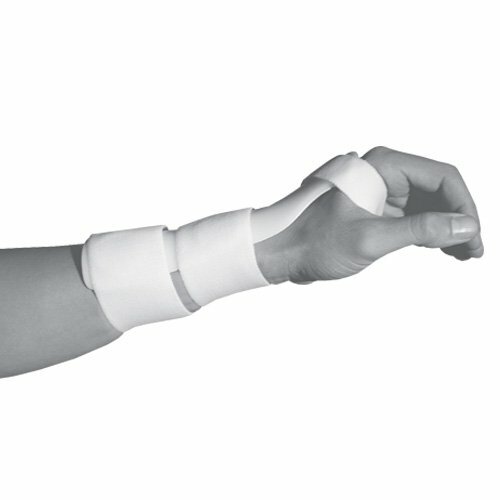 Soft adjustable elastic palmar straps offer either static positioning of the wrist or two levels of resistant wrist flexion. Consists of a high density polyethylene plastic which is foam lined for added comfort. Indications: Carpal Tunnel Syndrome, Repetitive Stress Injury, Cumulative Trauma Disorder, Rehabilitation Post Tendon Transfers, Ulnar and Radial Nerve Palsy.